Saturday, February 23, 2019 from 9:30A to 4:15P in the Kehr Union. 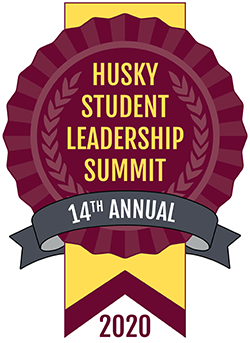 The Husky Student Leadership Summit is an annual leadership conference presented by BU alumni, faculty, staff and student leaders. The leadership summit is a great opportunity for students to network with BU alumni, enhance their leadership skills, learn more about ways to get involved in campus life and engage in workshops for their CLE Leadership Certification. With a focus on professional development, participants will get the chance to engage in mock interviews, resume review sessions, personal branding consultation meetings, professional headshots, panel discussions, a career fair and a networking leadership luncheon. It sponsored by the Center for Leadership & Engagement (CLE), Community Government Association (CGA) and Alumni & Professional Engagement. Choose what you want to attend and hit submit! Complete the HSLS 2019 Session Evaluation after every session you attend. Complete the HSLS 2019 Post Assessment after the last session you attend.